We have technologically developed Industrial Storage Tank that is used as a container to hold liquids, compressed gases. These are cylindrical in shape, upright to the ground with flat bottoms and come with flat floating roof. Our storage tanks are developed on the basis international standards and parameters that make them demanded on world market too. These storage tanks are highly preferred for their unique features including corrosion resistance, weather proof surface, anti-leakage and sturdy structure. We make them available in various capacities in both mild and stainless steel. Our range of S.S. Storage Tanks are widely used for storing chemicals, gases, oil and other liquefied and gaseous products safely. The use of stainless steel in our tanks adds to the strength of the tank and increases their capacity to withstand tough weather conditions. 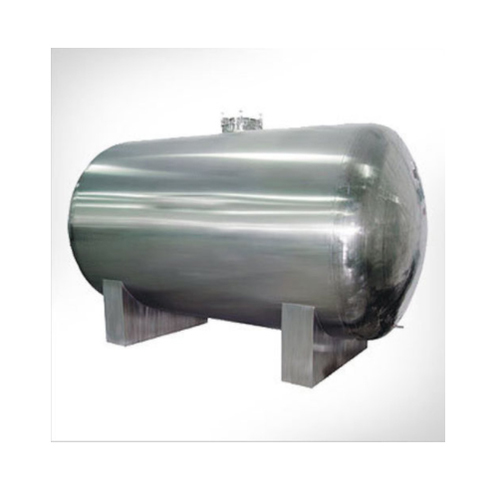 Our entire range of storage tanks is recognized and appreciated for their sturdy body, superb durability, leakage resistance and supreme thermal conductivity. Our range of storage tanks come with additional coating to protect the tanker from the effects of chemical, gas or oil being stored in them, thus avoiding any contamination or corrosion caused due to them. We make them available in several shapes; most general is vertical and horizontal cylindrical. The M.S Storage tanks are specifically developed for storing gaseous and liquefied products like oil, gas, chemicals and various others. These technologically designated technologically by making use of genuine mild steel. These are tested and verified on international standards with enormous storing capacity, which can be customized as per the requirement of our clients. 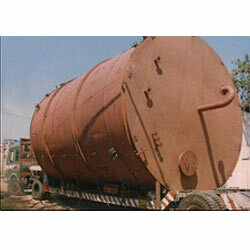 Our tanks are free from any form of corrosion, which may be caused by dust, water of bad weather. In the same way, the inside of the tanker is also completely free from any form of contamination caused in the material stored such as oil, gas and other chemical compound.